Create your own off-grid network in under a minute with goTenna. When there’s no cell coverage or wifi, activate goTenna by pulling the antenna out, then wirelessly pair to your iOS or Android device via Bluetooth-LE. Set up your account in seconds—now you’re ready to type out texts or share a location using goTenna’s free offline maps. goTenna is a cognitive digital radio combined with an app that generates its own signal and automatically coordinates with other units within range. It does all the heavy-lifting, so you can chat 1-to-1, with a group, or even broadcast openly to anyone nearby. 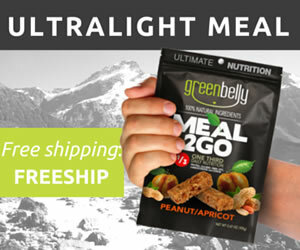 Connect even when you’re off-grid and far apart. Range is dependent on terrain and elevation, and comparable to other 2W VHF radios. Higher altitude > lower altitude. Wide open areas > dense, obstructed areas. 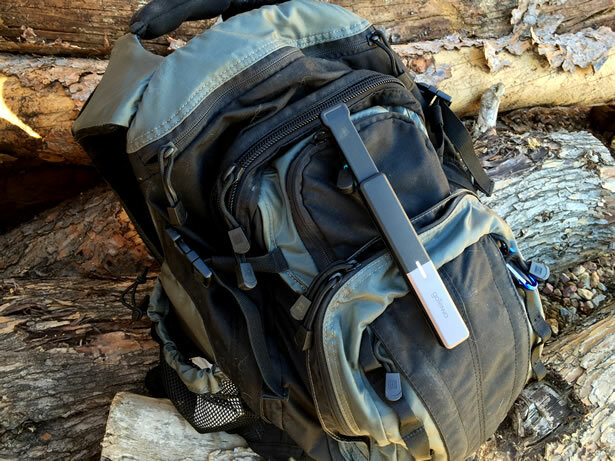 To maximize performance no matter where you go, attach goTenna externally and as high off the ground as is practical. Top of a backpack or in a chest pocket > on a belt loop or bottom of a bag. GoTenna’s founders (and siblings) Daniela and Jorge Perdomo came up with the idea for the goTenna during Hurricane Sandy when it left millions of people across 10-states without power and unable to communicate when they needed to most. Not only were a quarter of the cell towers downed, thousands of power and phone lines were as well rendering basic utilities useless for weeks before services could be restored. They realized the need for an off-grid communications device that would allow people to communicate without relying on cellular or wifi services. The beauty of goTenna’s design is its simplicity. By leveraging technology that already exists in newer iOS and Android smartphones, they were able to develop a small innovative communication device and software application that extends the capabilities of the phone by allowing it to create a private ad-hoc wireless network, regardless of having connectivity to a cellular or wifi signal. It has a stylish two-tone housing made from durable plastics for better water and dust resistance. Its compact design is roughly 5.8″ long, 1″ wide, 0.5″ thick, and weighs a little less than 2 ounces. On the front the device, there is a single LED status light, and a 0.5″ nylon web attachment strap located on the back perfect for attaching the goTenna to a bag or pack. The straps are available in four colors including green, purple, red and blue making the units easier to identify. In the bottom-end of the goTenna, there is a small Micro-USB connector for charging the internal Lithium-polymer battery. It is covered by a hinged plastic cap with an o-ring seal. The goTenna is activated by pulling the antenna out from the other end of the device. It utilizes Bluetooth-LE to communicate with current IOS and Android smartphone devices. Once paired with the goTenna app, the goTenna will receive its electronic id and immediately begin to communicate securely with other goTenna devices within range using a proprietary end-to-end 224-bit elliptic curve encryption. The goTenna software makes it easy to send and receive one-on-one and group-based text messages as well as public text broadcasts instantaneously. In addition, when paired with a GPS-enabled device, the goTenna software can share both current and pinned locations on detailed offline maps for free to anyone within range. The one-on-one text messaging feature provides delivery confirmation and automatic message retry functionality built-in. The goTenna also features a text-based emergency broadcast system as well. 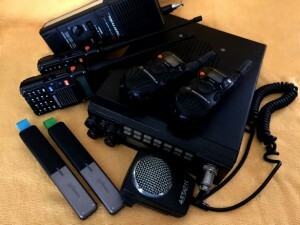 There are a wide variety of radio products that utilize MURS frequencies from intercoms and baby monitors to handheld two-way radios and wireless dog training collars. MURS radios can send and receive both audio and data transmissions, but only over short distances, and without any obstruction. 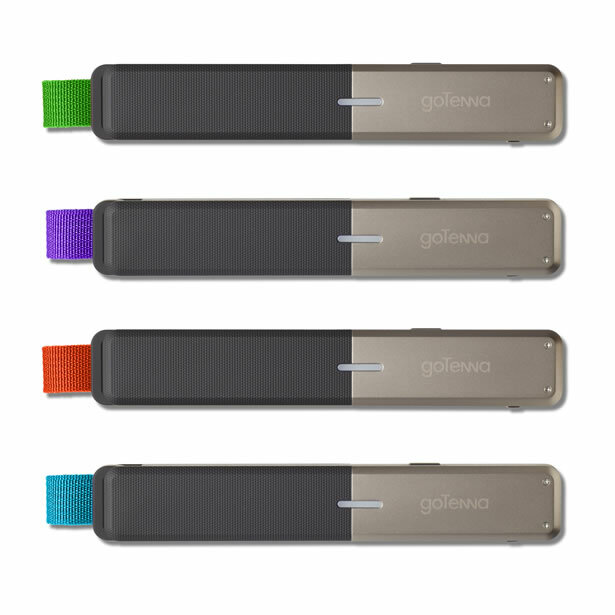 GoTenna leverages MURS for its ability to accommodate encrypted transmissions. The range of radio frequencies is entirely dependent on the atmosphere, environment, terrain and elevation. Much like a visual horizon, a radio horizon is the area up to the point where radio transmissions become blocked by the curvature of the earth. Under normal conditions most MURS devices have an effective working range of up to 2 miles, but it is not unheard of to reach much further. To maximize the performance, the goTenna should be as high off of the ground as possible. The top of a mountain, large hill or tall building free of any obstructions will provide the best results. To test the goTenna in a one-on-one chat, I sent a series of text messages at specific distances to a stationary unit in an upstairs window. The first thing that I noticed was that no messages were transmitted the entire time that the two units did not have a direct line of sight. The signal simply would not pass through even a single house. However, once I started to ascend a hill almost 2 miles away, the stationary unit began to receive the messages as soon as a direct line of sight was achieved. The messages continued to transmit all the way to 2.6 miles when the road began to curve back behind the hill on the other side. I am fairly confident that the goTenna would have continued to transmit for a while longer had I been able to stay in sight of the stationary unit. I really expected the signal to transmit throughout a suburban neighborhood, but the signal would not go through no matter what I tried as long as the units were not in sight of each other. The goTenna is a clever and capable off-grid communications solution, especially in rural areas where there is little or no connectivity, as well as indoor and outdoor events where there may be excessive noise. I also appreciate the private messaging and GPS-driven mapping capabilities not currently found in other off-grid communication devices. 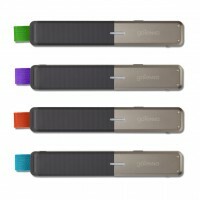 The obvious limitation is goTenna’s reliance on a clear line of sight between the devices, free from obstruction. When it comes to emergency communications, there truly are no magic beans. 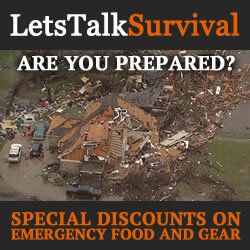 Whether it be MURS, Ham, FRS/GMRS or CB, none of them are ideal for every situation. It is important to have a well-rounded communications plan that covers as many situations as possible, often relying on multiple devices. While the goTenna is currently limited only to text messaging and sharing of GPS data, I can definitely see many ways in which the goTenna could be further enhanced, and I am confident that in the near future we will be seeing functionality far beyond what they are offering today. I think $199 for a pair with no monthly service fee is a fair price. At the moment, they can only be purchased directly from the goTenna website, though I hope to see them sold through other electronic retail outlets like Amazon in the near future. 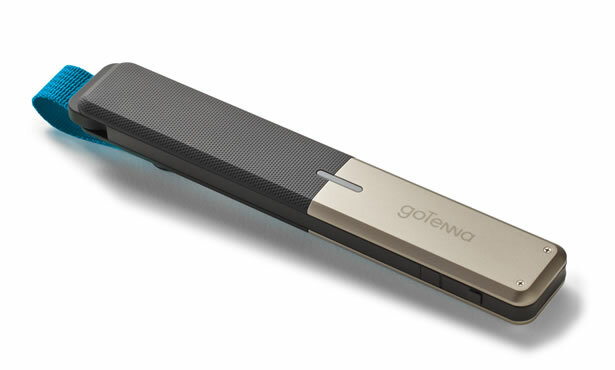 goTenna is a new communications device that enables people to connect directly with others even when there’s no central connectivity. The idea for goTenna came during Hurricane Sandy in October 2012 when a quarter of all cell towers were downed, and power as well as internet went out, leaving millions of people across the 10-state area affected by the storm unable to communicate when they needed to most. Founders (and siblings) Daniela and Jorge Perdomo realized the clear need for people to be able to communicate without relying on cell service or wifi, all the while leveraging the smartphones everyone already has on them. Soon after developing its first working prototypes at NYC Resistor, a hardware hackspace in Brooklyn, goTenna became official and hired its first employee. After bootstrapping its way through its first year, the company raised a round of venture capital in late 2013. goTenna’s first product launched for pre-order in summer 2014, and started shipping to thousands of customers in fall 2015.